Get up to 7 free auto shipping quotes from the largest, most trusted Maine auto transport companies and save up to 50% on your car shipping rates at CarMoves.com. Car shipping companies in Maine compete for your business, which is how you can save hundreds, if not thousands of dollars on car transport services by shopping with us. Whether you're shipping a car to Maine, across the country, or even overseas, we can help you get the best price on your shipment - guaranteed! Read more about the following auto transport companies in Maine before getting a quote. Click on the name of the company to read a full review. AAAll States Auto Transport AAAll States Auto Transport is an auto shipper that has been around for nearly 10 years, and whose employees have nearly 55 years of experience combined working in the car transport industry. This company does not charge a deposit up front, and they do not use terminals. Auto Shipping Direct Auto Shipping Direct is a Wake Forest, North Carolina-based auto transporter that specializes in direct door-to-door transport. This auto transport company advocates a "One truck, one driver" policy that has been implemented to improve customer satisfaction and service. Capitol Transport & Logistics Capitol Transport & Logistics is an experienced auto transporter, with over 22 years of experience shipping cars. With structured rates for easy pricing of shipments, Capitol Transport has no-nonsense pricing and many additional features, including overnight delivery. Cascade Vehicle Shipping Cascade Vehicle Shipping is a personable auto shipping company with a lively Facebook page. With a no-risk policy that ensures customers' payments are refundable until their vehicles are loaded onto a truck, Cascade maintains a high level of trust and customer service. 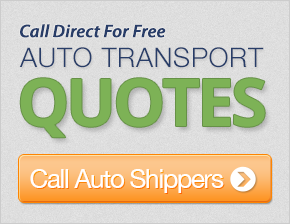 Dependable Auto Shippers Dependable Auto Shippers (DAS) is one of the largest auto shipping companies in the industry. The transporter is currently headquartered in Mesquite, Texas, though they have 95 terminals in the US alone. DAS was started in 1954, making it one of the oldest extant auto shippers in the nation. National Car Transport National Car Transport offers a seldom advertised option: rush shipping for qualifying orders. This BBB-accredited company has 12 years of experience in the auto transport industry. PayPal and credit cards are accepted forms of payment. Finally, National Car Transport has experts working with eBay Motors. Get a free auto transport quote today to find out how much it costs to ship a car to or from Maine! 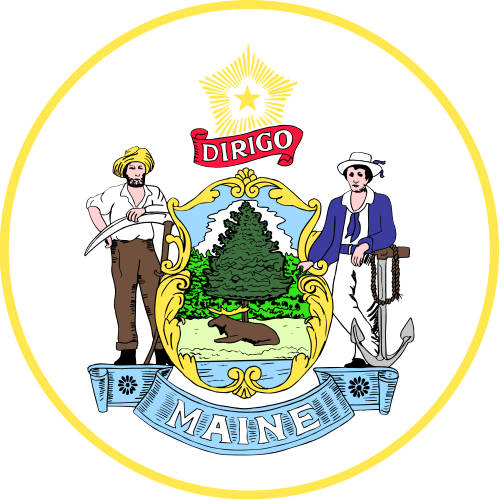 Maine is the northernmost state in the American region known as New England. It also happens to be the larger than the rest of New England combined. Maine is not heavily populated, perhaps due in part to the severe cold and ample amounts of snow that cover the northern portions of the state during the winter months. So, instead of cities, Maine is covered in vast swaths of pine forests. Still, portions of southern Maine are highly populated, especially in and surrounding the Portland, Maine area. Portland, Maine and nearby areas are often associated with artists and the arts. Famed author Stephen King, for instance, was born in Portland, though he currently maintains households in both Bangor and Lovell. Perhaps the state's classic New England feel, which has not deteriorated significantly in exchange for elements of more modern culture, draws writers to describe Maine's distinctive small towns and port-side cities. The area is also famous for its food, including diners and the "Italian sandwich," an early version of the submarine sandwich. Economically, Maine has several important features that distinguish it from surrounding states. First, the state's proximity to Atlantic coastal Canada and, in particular, Halifax, makes it an important trade route from Canada to the US. Second, the deepwater port in the Portland area makes it the ideal location, even when compared to the port of Boston, for large commercial shipping. The Port of Portland receives the second highest volume of oil of any port on the US East Coast. Besides shipping and trade, the "Pine Tree State" also produces a significant supply of agricultural products, including blueberries, apples, and poultry. Shipbuilding, paper manufacturing, and clothing production have also driven the economy in the past and present. Maine has a diverse economy and an artistic culture that draws in visitors and new residents from New England and the rest of the United States. CarMoves.com works with car shipping companies throughout the state of Maine. We can help you get the best prices on car transport services to the following cities in Maine: Portland, Lewiston, Bangor, South Portland, Auburn, Biddeford, Augusta, and many more. If you don't see your city listed, don't worry - we can get your vehicle shipped anywhere in Maine. Scroll to the quote section on this page to compare free auto shipping quotes from up to 7 Maine auto transport companies and save up to 50% on your move! View the Maine Department of Transportation website for more information.